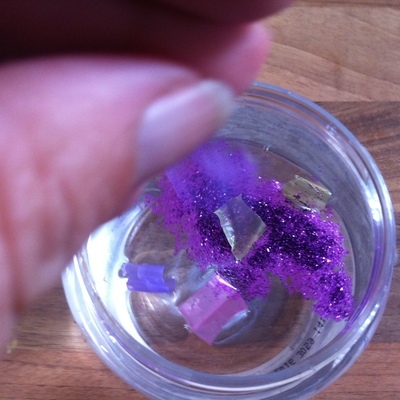 This is a fun quick activity which makes a butterfly enclosure. 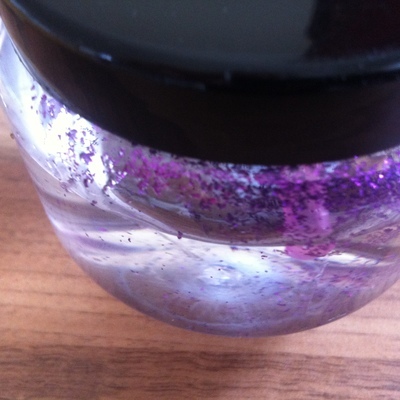 If younger kids are doing this activity, they will need a little supervision with cutting and ensuring the lid on the jar is tight enough right at the end so the enclosure doesn't leak. Time: 10 minutes preparation time, plus time playing with it. An empty container with a lid. We used an empty hair gel container because it is plastic and good for 5-10s in case they drop it, a glass jar could be used for older kids. First soak the container to get off the label. Warm soapy water is good for this. 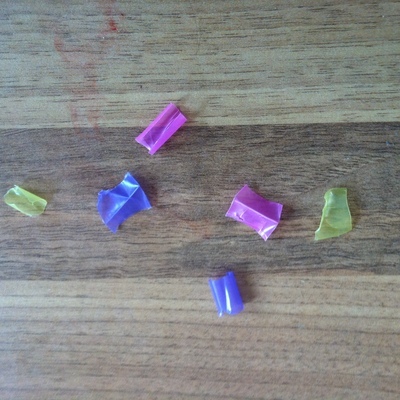 Next cut the tips off straws to have 6 straw tips. 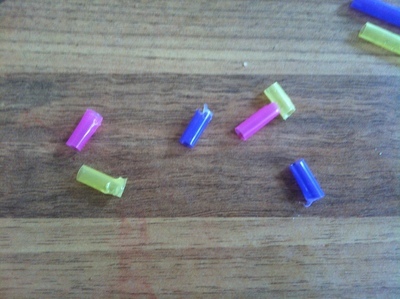 Take each of these straw tips and cut a line through the middle of them. These will be your butterflies. 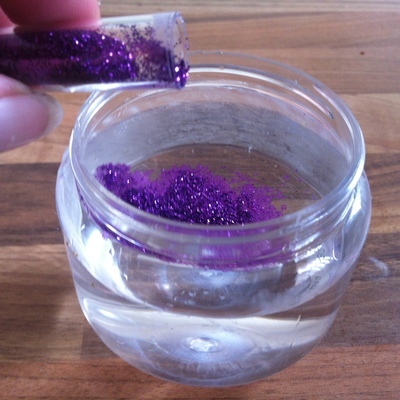 Pour a little glitter into the water. If there isn't quite enough water, put a little more in to fill it to the top. 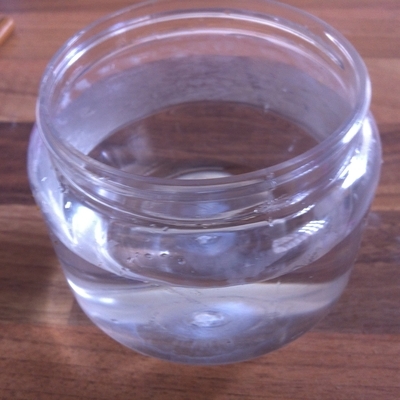 Close jar tightly with lid. Now you can turn it over and it will act like a snow-globe. 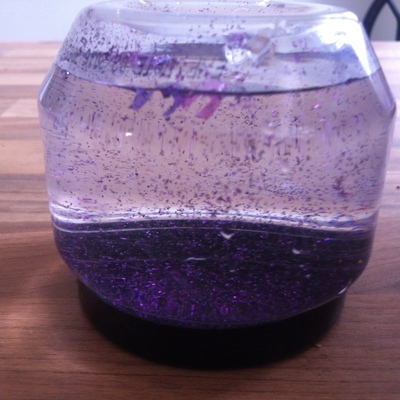 Shake it and the glitter and butterflies will dance around in their enclosure and butterflies will float to the top when not being shaken. What is your favourite bridge?